For the first official episode of Gaming History X, Fred is joined by co-host Trees to introduce the concept of the show. It eventually devolves into discussions about the legacy of the aged console gamer and of course Fred can’t shut up about Resident Evil 7. Our GHX theme was originally created by Ozzed as DeDeDe Metal Remix and then remixed into the theme by Fred Rojas with permission. You can find all of Ozzed chiptunes at ozzed.net. Closing theme is Go Tell Aunt Rhody from the Resident Evil 7 official soundtrack. We should have a feed available soon and you can also expect to see Gaming History X hitting iTunes and Stitcher within the week. All episodes will also appear on the main Gaming History 101 feed. Back in our 24 hour livestream, Fred did an impromptu episode of Version, our video series that compares the different versions of video games. This time he delved into Metroid II: Return of Samus and compared it to AM2R (Another Metroid 2 Remake), the fan created and now taken down remake. This has also been added to both the Version and 24 Hour Livestream playlists. This article is NOT a paid advertisement of any kind and we are receiving NOTHING from GameStop. It is an opinion piece. If you do not like GameStop or have vowed not to shop there, please do not take this as an encouragement to change your mind, screw ’em. It’s merely an article about how the author has found some good prices there lately. The title says it all. As of late prices on retro games and consoles have skyrocketed. 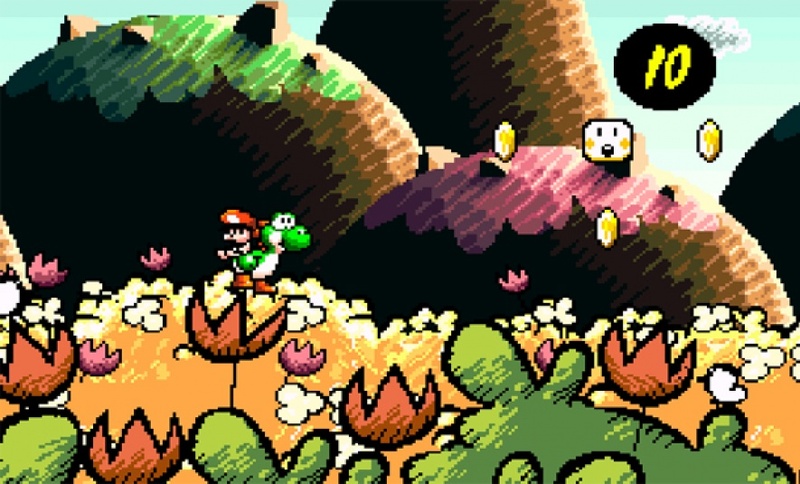 It’s not just trends, either, because the modern day releases have just as adverse an effect on the hot titles of yesteryear as the fact that the Super Nintendo generation is now entering its 30s. Couple that with the fact that the market has started to dry up with collecting and hoarding – and I assure you I’m criticizing neither – that retro retailers are raising prices left and right. These shop owners track price charting, eBay, Amazon, and retro sites to keep up with a market in constant flux and are the first to put a premium on whatever item may come to pass. This is what they are supposed to do and I commend it because without these shop owners staying in business, the market for carts will diminish significantly. Then there’s GameStop, the powerhouse used video game chain that will buy all your games for pennies on the dollar and sell them back to you for ten times what they gave you. It’s easy to hate GameStop, but their reach and pool for grabbing used titles is unrivaled and as of late the non-collector gamer in me has been continually impressed by the retro selection. In short, if you’re looking for a game to play and you’re not that worried about condition, GameStop is often the best deal in town. Not only that, but currently if you spend over $25, you get free shipping, and all games are covered by a brief warranty to assure the game works when you get it. This is significant because GameStop often has multiple copies of a game so they can swap out non-working titles for you, whereas most sellers online only have one copy of the game and even if they will refund your money, you still have to hunt for another good deal. These factors are why I’m actually digging buying retro from GameStop. Perspective of a Retro Gamer was formerly known as “cross talk” when I was actively involved in the B-Team Podcast. Since I’m on a hiatus, this is the same context in that it’s a largely old school gamer playing a modern game. Think of it as a review that’s more about my perspective as opposed to that now “traditional” definition of a product review fused with a content review. As such, no scores are part of this series. 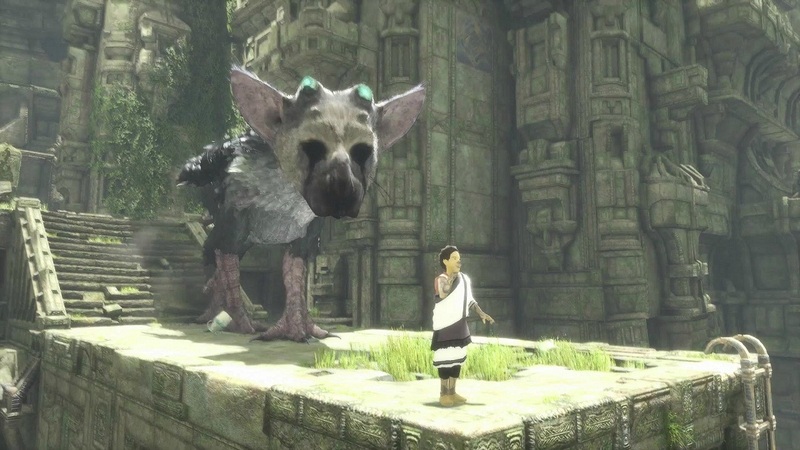 The Last Guardian has become synonymous with retro gaming, most likely because the design is as aged as the development itself: over 10 years old. So while many contemporary players are walking into the title wondering if it will appeal to them, it seems like the retro crowd such as myself are expected to take to it naturally. Couple that with the assumption that if you like previous games by Team Ico, especially the studio’s initial title Ico, you should enjoy this as well because it is similar in gameplay and design. I’m here to say that after a wonderful initial three hours and a painstaking three more that followed, this is simply not the case. I like old games, I like old game design, and I really like Ico, but I think I’m done with The Last Guardian. Not only that, I find the claim that this title shares much in common with old game design or Ico to be as inaccurate as those that compared Prototype to inFamous back in 2009. For me this is heartbreaking because the game leads you down a path with such wonder, grace, and promise that when it all gets taken away it seems cruel. Your journey begins as a young boy protagonist – nothing new for Team Ico games there – awakening in a room. The first thing you will notice is the hulking body of your soon-to-be companion, Trico, fast asleep in the room with you. This introduction was abrupt and unexpected, which was magical, as was the reality that you are stuck in a room with a creature you don’t understand yet. There’s no prompt to do something outside of a bit of narrated exposition seemingly told to the player by a future self as well as a handful of prompts on what buttons do without a hint as to your goal. Shortly after Trico wakes up, doesn’t do a great job of telling you what’s expected, and you have to figure it all out. Your journey begins, you go exploring, it’s all basically self explanatory. It’s also stunning to look at. I will admit that the textures are stretched in areas, the shading on the game is an obvious attempt to make it look better than it should, and a vast majority of the whole art direction screams Playstation 2 game. That said Trico is crafted to near perfection. The way the fur or feathers all move as Trico walks or part away like blades of grass as you maneuver its body make the whole thing seem so real. Its eyes, those Trico eyes, are a glance so lifelike that any dog or cat owner can appreciate. Perhaps most convincing was that its movements were so familiar even though no creature like Trico has ever existed. I loved this opening. Below is the entire playlist of videos from the livestream, but it would probably be better if you use YouTube for this one. The playlist can be found here. On multi-game streams (there were a few) you can find clickable links to specific starting points for titles. It’s a self-playing list containing the 21 videos captured during the livestream. Two of the videos: “Fred plays Rock Band 3 with his brother and wife” and “Metroid 2 vs. AM2R” need some edits due to muting thanks to copyright claims, but are totally worth seeing and will be live in the next day or so. They will automatically be added to the playlist. We are fully funded for 2017 and it’s thanks to all of you! It was a blast and we look forward to doing it again next year. Thanks for all who came out and all that check these videos out. If you would like to make a donation, it’s still not too late! We have a Patreon running with plenty of worthwhile stretch goals here and single donations are always available at bit.ly/gh101donate.